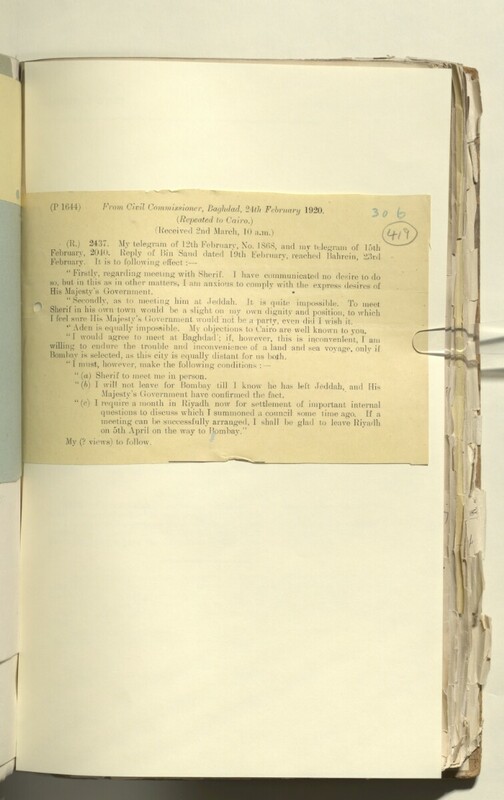 (P 1644) From Civil Commissioner, Baghdad, 24th February 1920. I feel sure His Majesty’s Government would not he a party, even did I wish’it. 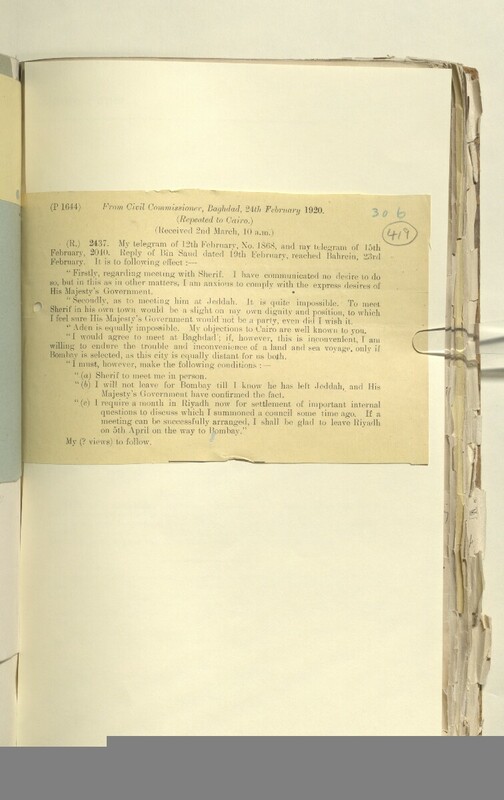 “ Aden is equally impossible. My objections to Cairo are well known to you. Bombay is selected, as this city is equally distant for us both. “ (a) Sherif to meet me in person. Majesty’s Government have confirmed the fact. My (? views) to follow.